Gweilo in the Diaolou takes you to regional China on the road less traveled. Gweilo is a Cantonese slang term meaning "ghost man" or white man. Diaolou are defensive watch towers only found in the villages and towns of Kaiping county in the province of Guangdong, China. In a classic fish out of water story Australian Rob Harvey travels to rural China and gets himself tangled up with the language, the culture, the cuisine and the history. Despite the language barrier, he forms close and connecting bonds with friends and family with a combination of humor, respect and compassion. This very personal adventure will have you laughing from one side of China to the other through dumplings, dragons and diaolous. "As I walked through the door, every single pair of eyes in the restaurant locked onto me, locked onto the Gweilo. It was very intimidating. We were ushered upstairs away from the crowd, as each pair of eyeballs followed my every step. I counted them. 200 eyeballs were staring, fixated on the freak that just walked into the restaurant and up the stairs." 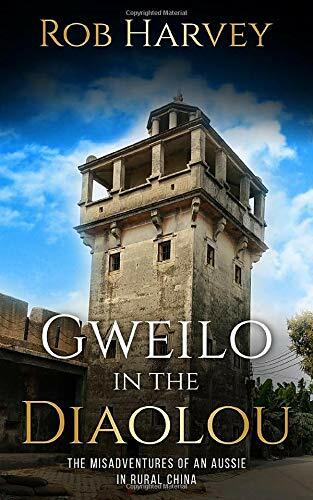 If you love a good travel adventure laced with humor, then you will love Rob Harvey's Gweilo in the Diaolou.